I'm fascinated by how civilization began. Archeologists trace human roots back hundreds of thousands of years, yet we only know much about the last ten thousand years or so. What did those people do and how did they live? Were there flourishing civilization that perished? And what made civilization blossom with agriculture across the ancient world at about 12,000 b.c.e.? One of the oldest documented civilizations is that of Sumeria, located near present day Iraq. Recently translated Sumerian tablets report that each city was nurtured by the "ones who came from the stars." Like a forensic investigator, I interpreted their world from the morality they taught to shape the mesopotamian civilizations. And so, I constructed the world of The Alterran Legacy Series. When not writing, I enjoy practicing business law, exercising through martial arts and pilates, spending wonderful time with family and friends, and playing the piano. 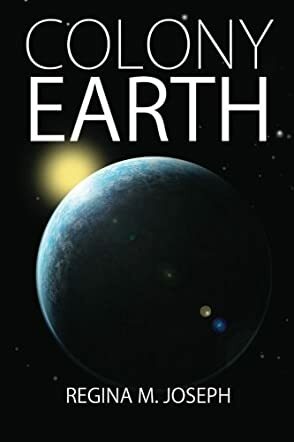 Colony Earth by Regina M. Joseph is an expertly woven tale of the interactions of the inhabitants of the planet Alterra and “primitive” people of Earth. For the Alterrans, Earth has become an attractive alternative for desperately needed resources as their planet's core begins to slowly cool. Traveling through a portal to Earth, they carry on research, experiments, and gold mining. En.Lil, a named successor to the leadership of Alterra when his time comes, finds himself, as well as numerous researchers, support personnel, and guardsmen stranded on Earth after the portal they'd been coming through for ages has to be shut down due to sudden limited power sources after a catastrophic event on their home planet. Realizing the portal may never be activated again, En.Lil must take decisive action to ensure the long term survival of the colony, even though it puts him in direct violation of the Non-Interference Directive. Meeting the beautiful Alana pulls him even further into that violation as he realizes that perhaps Earth people are not as filthy and primitive as he had once believed. Colony Earth is a fantastic read! Author Regina M. Joseph has painted a fascinating picture of what it could have been like for early Earth people to encounter people from another civilization. Well developed characters and rich world descriptions, as well as great pacing and storytelling make Colony Earth an engrossing read. I smiled quite a bit as the guardsmen slowly recovered from the effects of eating food containing emotion controlling substances and began to experience emotions they hadn't before. And while En.Lil was raised in a strict regimented way as befitting a future leader, he begins to find Earth quite liberating, as well. After the men of Alana's adopted tribe are slaughtered by Danes, it's En.Lil and his guardsmen who help them, despite the directive. He realizes that Alana and the other women may be their only hope in preserving their race. I highly recommend this first book in The Alterran Legacy and am very much looking forward to reading Khamlok, the second book.